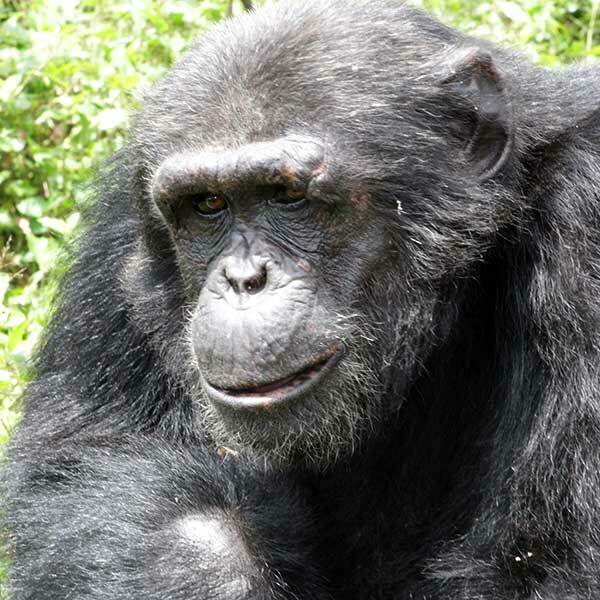 My name is Umutama and I am the alpha male of Ngamba after three years of challenging Kalema. I arrived at Ngamba in November 2000 after being confiscated from a private owner in Burundi. My name means “old one” in Kirundi, the local language in Burundi. While a I am physically very big, I usually don’t throw my weight around, preferring charm and charisma to lead the other chimps. I am respectful of the younger animals and will even let them eat close by. But I can be very agressive when necessary and punish individuals with force which is why I am the current leader.